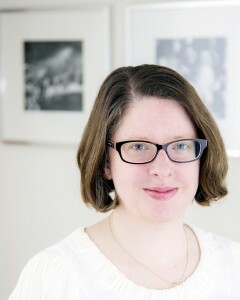 Helen Trompeteler is a Curator of Photographs with over fifteen years experience working with museum collections, galleries and arts organisations. Past curatorial projects include the Josef Breitenbach Research Fellowship at the Center for Creative Photography, University of Arizona (2016), Audrey Hepburn: Portraits of an Icon (2015), Snowdon: A Life in View (2014), and Man Ray Portraits (2013). Helen’s writing has been published internationally, from artist monographs and exhibition catalogues to leading photography magazines. She has lectured on photography for organisations including Central Saint Martins, Regent’s University London and Sotheby’s Institute of Art. She is a board member of Four Corners, a learning, production and exhibition centre for film and photography.